Now I may have mentioned before that I have a very large collection of vintage knitting patterns ... one I've had for a very long time is also one of the oldest in my collection. 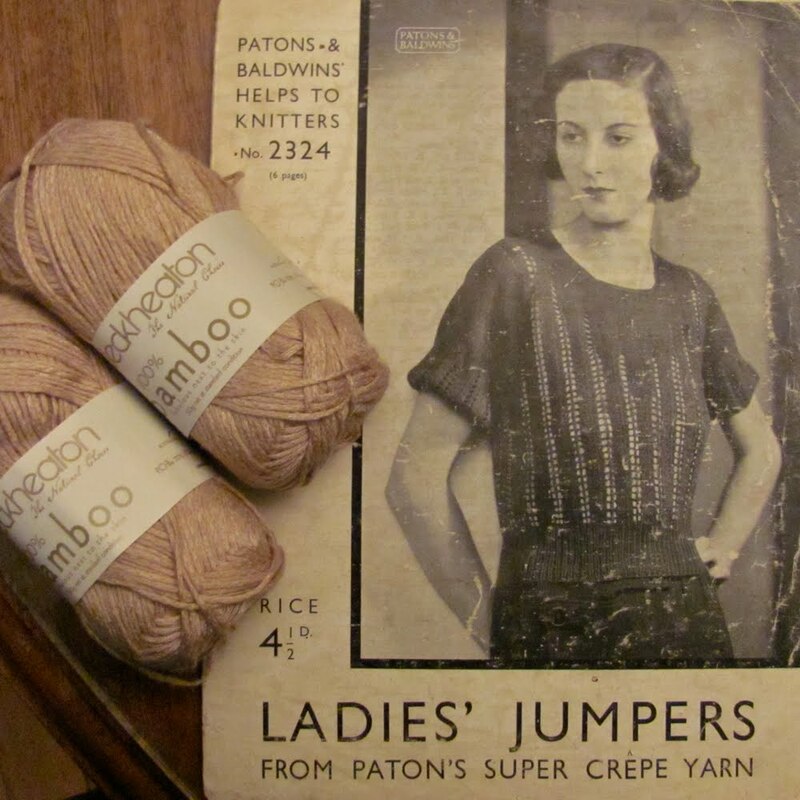 A Patons & Baldwins "Helps to Knitters" leaflet No: 2324 - probably dates from the early 1930s. There are 2 patterns in the leaflet - only they are called "Recipes". Now I wonder if I can get the snooty look and thin arms (well maybe not that thin!) by the time I finish the garment? There is also a great deal of plotting and planning is going on in the dolly department. 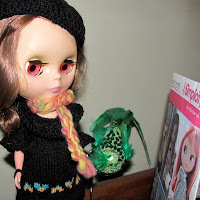 Simplicity have issued a pattern for Blythe doll clothes - mine arrived today from This is Blythe and Lillian is trying to decide what she would like first - her pet green bird is trying to help but I think he is confusing matters somewhat.